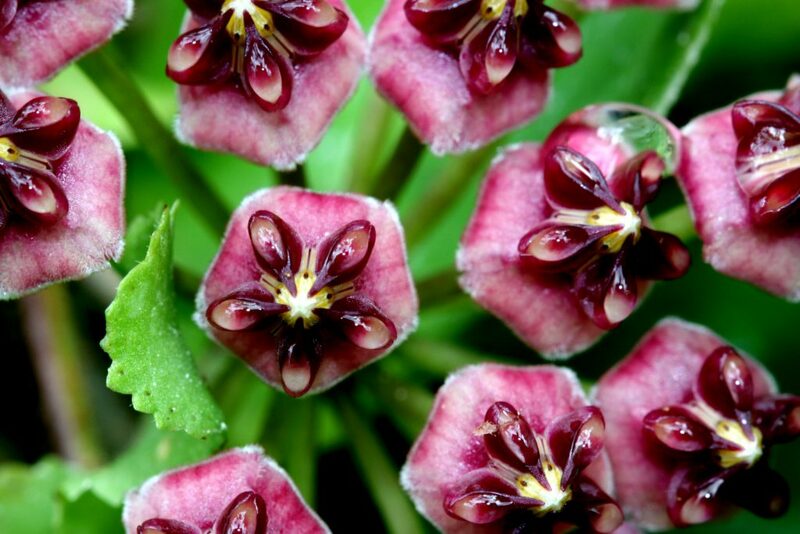 Hoya lucardenasiana comes from Luzon, which is the largest and most heavily populated island in the Philippines. It was published in 2009 and was named in honor of Lourdes B. Cardenas. H. lucardenasiana was and is a hard Hoya to grow â€“ it just did not like me at all. It is a beautiful plant when grown well, but I had a lot of difficulty with it. I finally was able to bloom the plant by letting a weed fern spore settle and grow along with it in the same pot. The flowers smell much like many of the other butterscotch scented Hoyas such has DS-70 and brevialata. They are covered in heavy nectar almost from the minute they open. 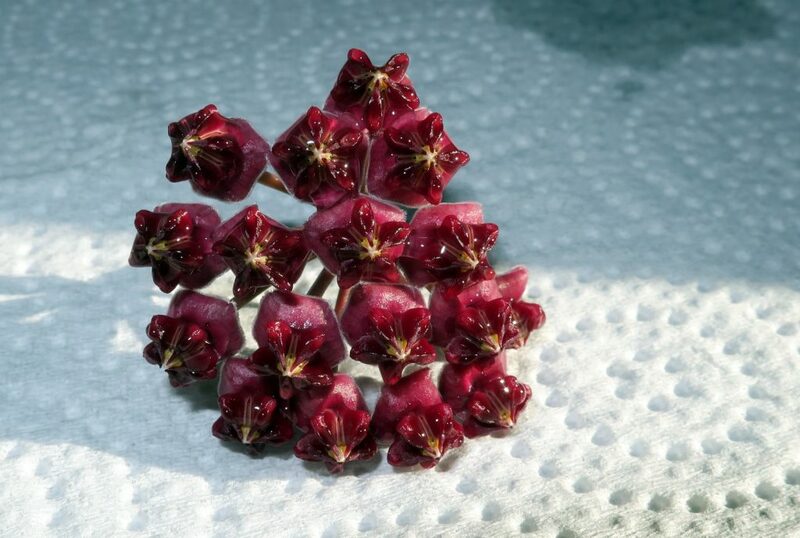 Hoya lucardenasiana is non-twining and may make a better hanging basket than an upright. It never really grew well enough for me to know if it would have looked better on a support. The leaves when new have a pleasing reddish tint and are extremely glossy and vary in size, but most being around two inches long and about one and a half inches wide. The blooms are not large, being about twice the size of the blooms of H. DS-70. **Update** Eight months after I described my experiences with Hoya lucardenasiana above, the plant finally took off, grew wildly and flowered nearly constantly for months. This is a plant that needs to be given considerable time to find its footing with its grower. Don’t give up on it. Also, one of the trick to growing this plant well is to not water it excessively early on. Only water when thoroughly dried out. A well grown specimen is truly a site to behold.